Avengers: Infinity War will be the culmination of everything the Marvel Cinematic Universe has established. Everything has led up to this point. Thanos will be knocking on Earth’s door shortly after Black Panther defeats Ulysses Klaw and his cronies in his African nation of Wakanda. Here, Hawkeye appears to be showing off a mohawk and it looks fantastic. I mean why wouldn’t a guy named Hawkeye not wear a mohawk? It’s interesting to note that the MCU is continuing to stay true to the character they brought to the big screen. In the comics, Barton normally wears a mask complete with his purple colored outfit while the movies leaves off his mask but keeps everything else. Barton is of course the most recent Avenger to promote a new hairstyle. Why All The New Looks For These MCU Characters? One major aspect I really admire from this cinematic universe is that Marvel has played it safe with the characters appearance from the comics. While the majority of them may not exactly look like their comic book equivalent, Marvel has done a phenomenal job making sure these characters don’t look too cartoony. Having said that, there’s actually a serious reason why most of these characters are forced to changing their own image; the aftermath of #CaptainAmericaCivilWar. The conclusion of Captain America: Civil War saw some of our favorite characters go into hiding after disagreeing with the signing of the Sokovia Accords. Steve Rogers, Natasha Romanoff, and Clint Barton to name a few, are reframing away from society. 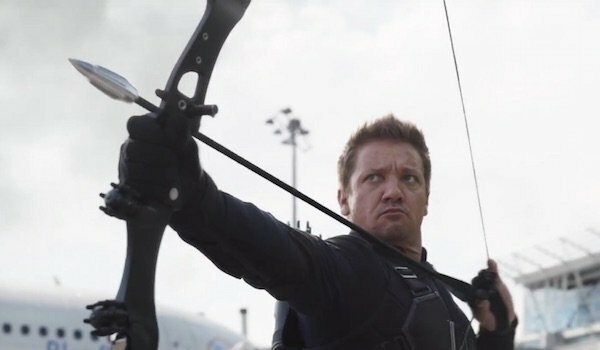 Rogers is now wearing a full beard complete with goatee, Romanoff changed her hair from red to blonde, and now Hawkeye shaved his head to resemble a mohawk. While these changes may not seem like a big deal, in retrospect to the characters they most certainly are. These Avengers need to do everything they can to go into hiding even if it means losing or adding a bit of hair. All that being said, there’s a lot to look forward to in #AvengersInfinityWar. The Russo brothers have already announced that at least 68 characters will be appearing in the biggest #MCU film to date. That’s a lot of characters in one movie, but I believe the Russo brothers will find a way to make it work. What other heroes do you believe will be sporting a new looking in Avengers: Infinity War? Are you pleased with some of results thus far? Jump down into in the comment section below and be sure to leave your thoughts!